Kids enjoying with their friends look great. 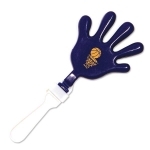 You can inspire them to enjoy more by offering these custom logo imprinted hand clappers - 3 colors. 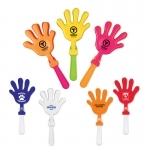 These promotional noisemakers make great giveaways during office parties, school sporting events, community programs, tradeshows and individual celebrations attended by kids. 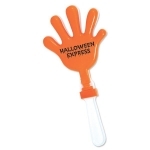 These logo printed hand clappers will make great keepsake gifts and kids will love to take them home. Offered in various white alternated color combinations, you can easily have your pick and customize them with your brand logo. 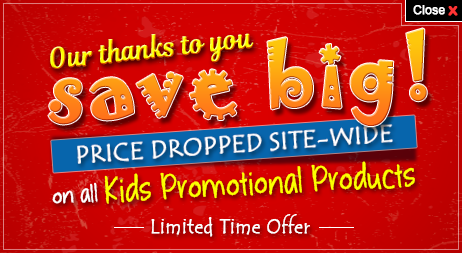 Order today to get started with these best seller promotional giveaways for kids at guaranteed low prices than ever! 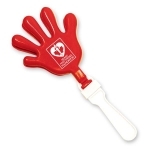 Request a quote to know wholesale savings for these promotional hand clappers - 3 colors.